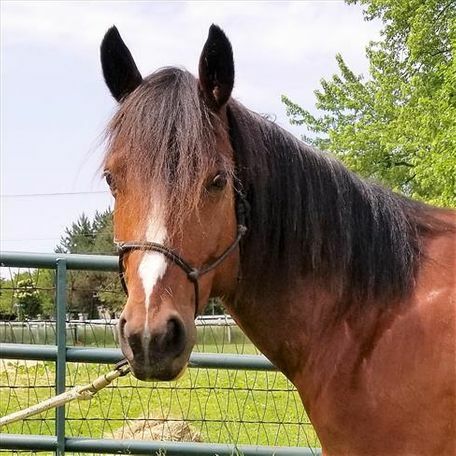 Bridget Jones is a 14.¾ hh bay Quarterhorse mare. 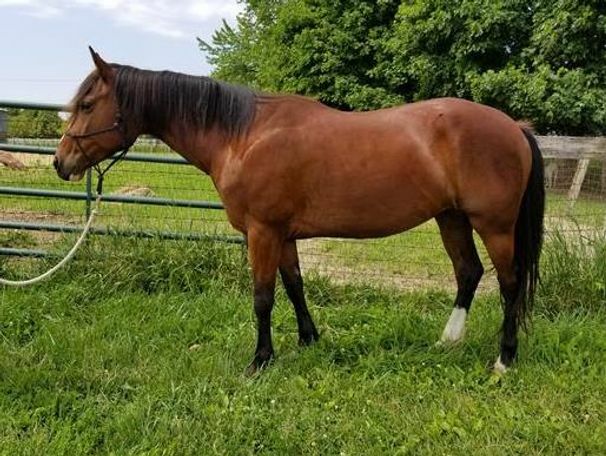 She came to HAHS with 3 other horses via an Illinois Department of Agriculture impoundment as the result of a HAHS investigation into neglect. 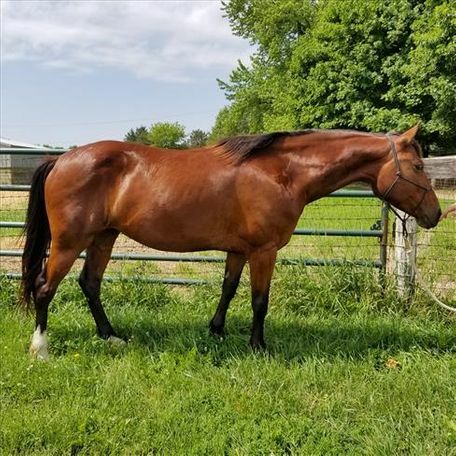 She has been started, is a forward mover and has the potential for any discipline. 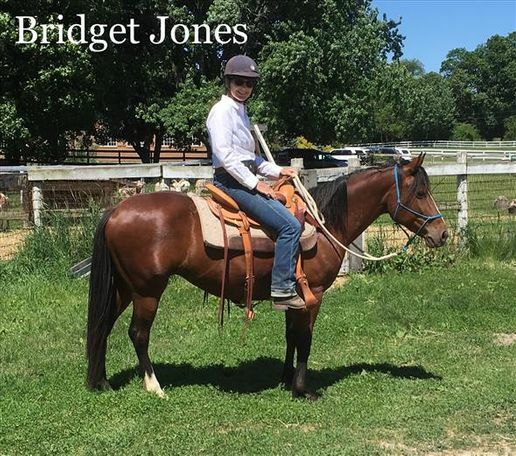 Bridget Jones would require an advanced rider to continue her training.